Serbian President Vucic’s policy of appeasement towards Greater Albanian irredentism and chauvinism, in the NATO occupied region in southern Serbia, in the name of ‘peace’ and ‘respectability’ in the eyes of the EU and NATO, has approached its final point. The aim of the internal dialogue conducted by the Serbian President Aleksandar Vucic, should be to distribute responsibilities and to be the cover for the final surrender of Kosovo and Metohija. The government constantly assures us that it will never recognize Kosovo as an independent State, but here we must point out the following: they are not expected to announce to the public that Kosovo is an independent State and that we recognized it as such. Nobody is asking for such a clear acknowledgment from them. The problem is that they are instigating the independence of Kosovo by implementing their policies, without clearly defining and communicating to the public what they are actually doing. Can Serbia join the EU and avoid joining NATO, a military alliance which members are EU countries and that had been bombing Serbia in 1999 for 80 days running? Will Belgrade manage to protect its military sovereignty while being on the way to European integration, the way the other countries of the region are following? What advantages expect Serbia if it is finally granted the long-awaited EU membership and what hardships will the Russian-Serbian relations face in future? 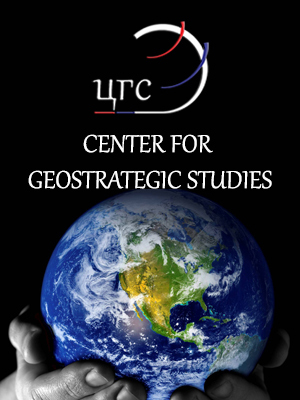 Director of the Belgrade-based Center for Geostrategic Studies Dragana Trifkovic answers these and other questions of EADaily.